This pattern issue, like many of this era, was produced in a bronze composition described simply as “copper.” Specifically, bronze is a copper alloy with the addition of tin; however, the specific proportions would vary from one melt to the next. The only true distinction would be made through expensive elemental analysis. 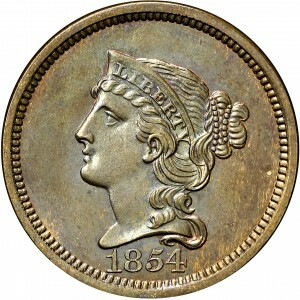 The specific pattern issue displayed here is essentially the normal large cent design of this year without obverse stars, and with a slightly reduced-size wreath on the reverse. 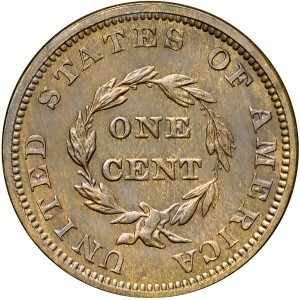 These patterns were produced in Proof format and are actually more common than Proof large cents of this coinage year. From Stack's ANA Sale of August 1971, Lot 266. Head of Liberty to left, date below, no stars around. This motif has been variously called the Liberty Head, Braided Hair, and Coronet type. 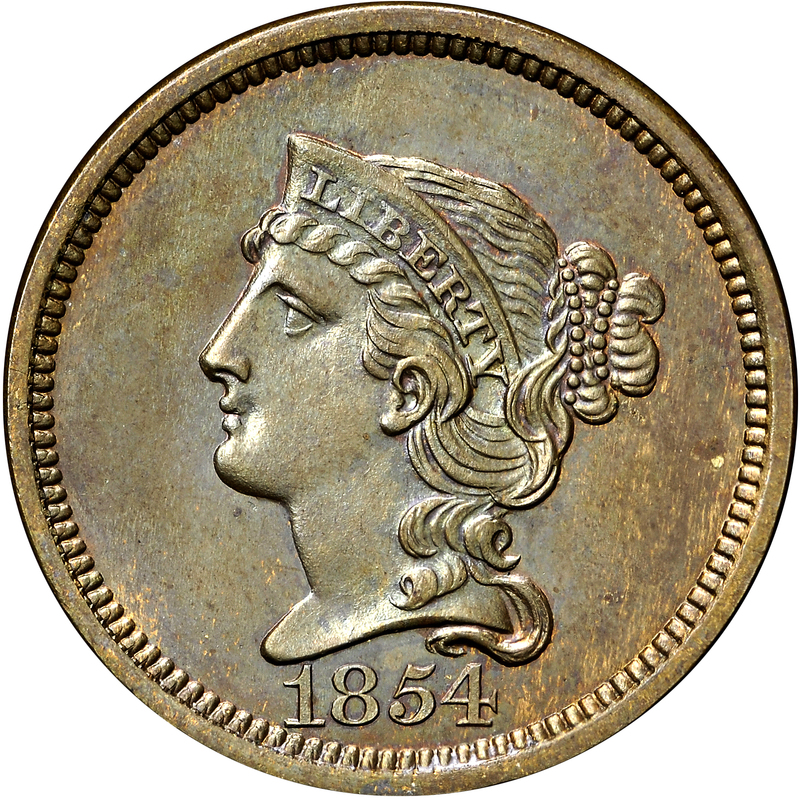 Ms. Liberty is coiffed with her hair coiled and arranged in buns behind her head, the style used on contemporary circulating copper cents. 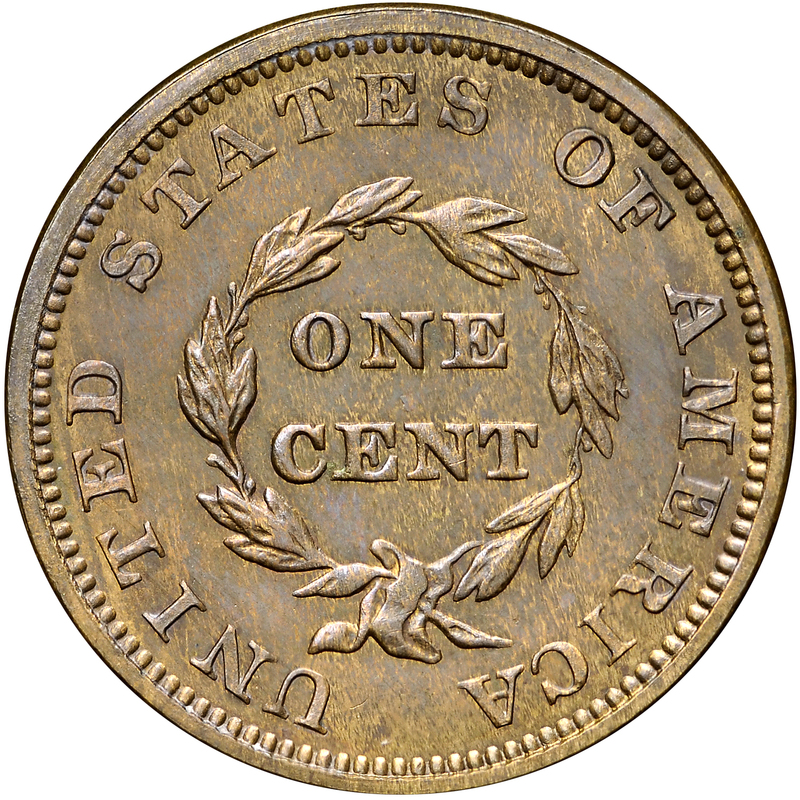 ONE CENT within a thin, continuous laurel wreath, UNITED STATES OF AMERICA around.